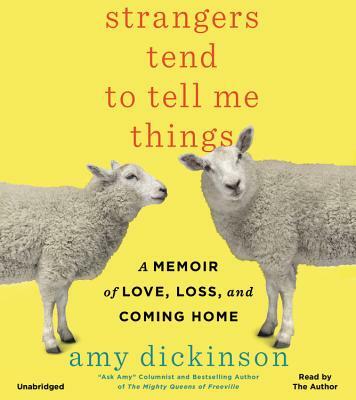 In Strangers Tend to Tell Me Things, her follow-up memoir to the New York Times bestseller The Mighty Queens of Freeville, America's most popular advice columnist, Ask Amy, shares her journey of family, second chances, and finding love. Exploring central themes of romance, death, parenting, self-care, and spiritual awakening, this touching and heartfelt homage speaks to all who have faced challenges in the wake of life's twists and turns. From finding love in middle-age to her storied experience with step-parenting to overcoming disordered eating to her final moments spent with her late mother, Dickinson's trademark humorous tone delivers punch and wit that will empower, entertain, and heal.